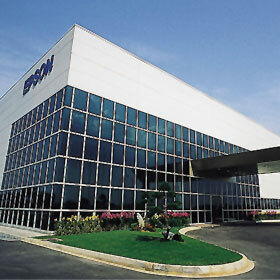 Formally known as Asian Precision Singapore, Singapore Epson Industrial Pte Ltd (SEP) Plating Division was established in May 1979 to provide metal surface treatment on watch case and watch movement components to support Seiko Epson Group, Japan. To add-value to our business, we expanded to local and oversea customers as well. We apply advance technologies together with qualified personnel that are matched by a state of the art laboratory, to deliver quality products that are up to, or even exceed customers' expectations. Our experience team of engineers also strives on innovation and challenges, to give customers' a lowest cost of ownership possible without compromising on quality. SEP also offers a flexible approach to meet logistics requirements through shift-to-stock services, overseas shipment and one-stop service to meet the total need of customers. On top of that, SEP is actively exploring new industries to diversify its operation. To maintain our esteem quality and unrivalled reputation in the market, we achieved ISO 14001:2015 and ISO 9001:2015. SEP places the utmost priority on quality to create reliable products and services that continue to surpass customer expectation. SEP had also been approved for the prestigious IATF16949:2016 certification to cater for the aerospace and automotive industries. We also achieved SS577:2012 for water Efficiency management system. Doing our part for society, SEP is actively involved in community services and environment activities that link ecology with economy, using our strict corporate social responsibility as guideline. 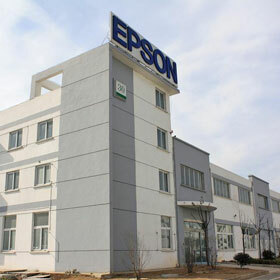 "Working under the "Exceed Your Vision" tagline, Epson is determined to constantly responds to the changes in the market demand, conditions and trends by tapping into its store of creativity and technical knowledge of each individual. 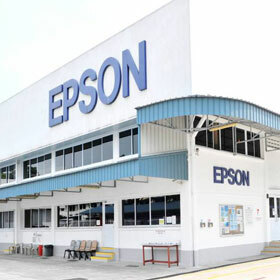 Epson aims to stay ahead of competition through provision of quality services and products that exceeds customers' expectations and by practising Corporate Social Responsibility." Chrome, Zinc, Copper, Nickel, Tin, Gold, Silver, Platinum, Rhodium, Palladium, ENIG, PVD (Physical Vapor Deposition), AR (Anti-Reflective) Coating. 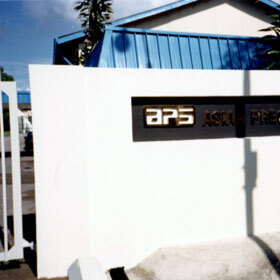 May 1979 Asian Precision(S), APS formed to provide plating for TPL. 1988 Started plating/surface treatment business for watch movement parts. Oct 1992 APS was unified with TPL & EPS to form SEP Group. May 1995 Started IC Automated Lead frame plating. Mar 2000 Patented Watch product Word Index E-Coating technology. Jan 2001 Started "Lead free" IC Lead Frame Plating (Fully Automation). Feb 2001 Established Plating for Chip Scale Packaging SAW in Clean room. Mar 2001 Patented Composite E-Coat Technology (Using for printer Shaft). May 2002 Established new water treatment technology to treat Industrial water to DI water & won SEC Environment Award Level I.
Apr 2003 Set up Super-Precision(sub-µm) plating for HDD FDB Part. Jun 2003 Establish bondable Electroless Gold(>0.5µm)plating for PCB. Nov 2003 Upgraded to ISO9001:2000 Certification. Apr 2004 Factory area expansion. 2007 Established PVD Coating Technology. July 2009 Factory area expansion. Copyright ©2014 Singapore Epson Industrial Pte Ltd. All rights reserved.